Being the first to take a big win and add in the fact that it includes a purse of more than a quarter million . . . well, you just have to take a big gulp. With a purse of more than $279,000 up for the taking in the #15 Shoot Out at the Cinch USTRC National Finals of Team Roping, placing can be a good deal, but taking the top paycheck of $71,000 can be life-changing. The team of Drew Horner and Brady Norman survived four grueling rounds defeating 339 other teams to take the top spot. Coming into the short round as the 2nd high call back, Horner and Norman played the game of keep calm and have a little faith. Roping in a time of 37.73 on five steers, the duo won total earnings of $71,000, quite a take for a college student and an 8th grader. In addition to two custom Martin trophy saddles, the pair scored trophy Gist belt buckles and full quill Tony Lama ostrich boots. Team roping is a timed event that requires a team effort. A team is made up of a “header” and a “heeler”. The header’s job is to catch the steer around the horns, and then set it up by turning it across the arena. The heeler then rides in and ropes the steer around both hind legs. The clock is stopped when the steer is secured between both ropers and their horses are facing each other. Much like the sport of golf, ropers are handicapped or receive a classification rating based on their skill level and competitive ability. Ropers can be classified from a #1 to a #10, depending on their roping position and ability. The added total of both roping partners handicaps determines their division eligibility. For example, if the division is a #11, the total rating for both ropers cannot equal more than 11, with some divisions requiring a handicap floor. More than $19 million was paid in prize money in 2009 during USTRC sanctioned competition, making it one of the richest “pay-for-play” sports in the industry. 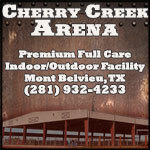 For more information and a full schedule of events, go to www.ustrc.com or call 254.968.0002.